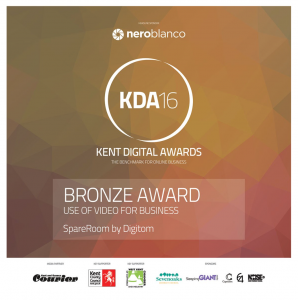 Digitom has won Bronze Use of Video for Business at the Kent Digital Awards for content produced for the UK’s number one flat and house share website, SpareRoom. 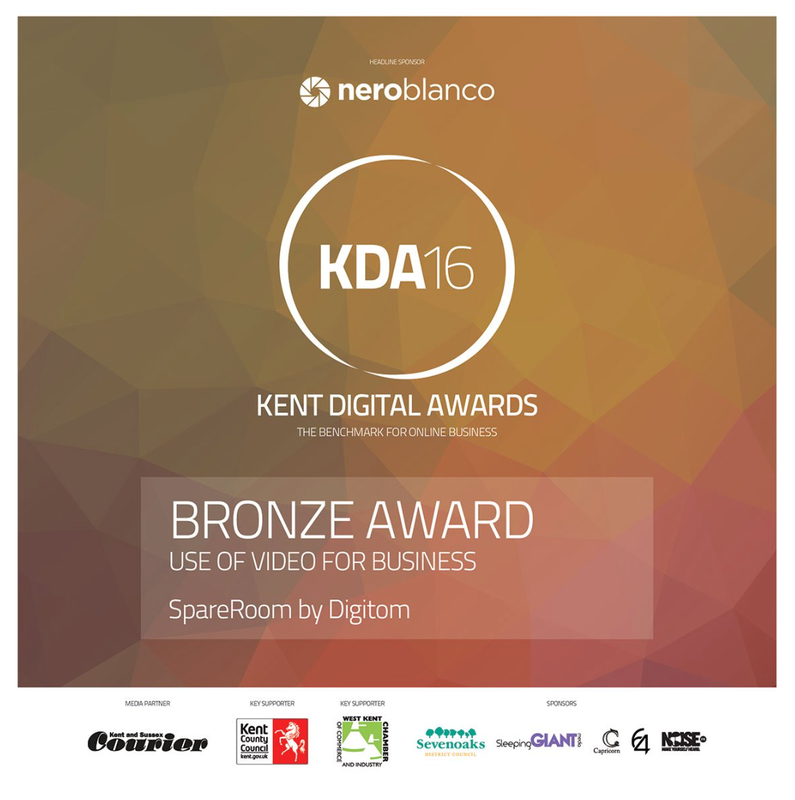 Held at the Motorsport Vision Centre at Brands Hatch Circuit, the awards ceremony recognised the online achievements of businesses, schools and charities from across the county. 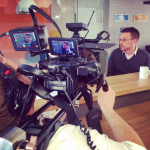 Digitom produced a series of videos on the Housing Election 2015, looking at key issues of letting agent fees, rent controls, getting on the housing ladder, standards in rented properties and affordable housing supplies. The content was hosted on a microsite and acted as a conversation starter for voters in the General Election on housing issues, putting their questions directly to the politicians. “It showed that we are an organisation that’s prepared to get involved in the market that it works in. The world’s changing really quickly in terms of online companies, tech companies, and the way people do things has changed but the government doesn’t always keep up with that.